Clackamas swept the Mount Hood Conference swim titles last season and looks primed for a repeat trip to the top this winter. The Cavaliers were a combined 14-0 in dual meets, beating their opponents by more than 50 points per meet. On the girls side, Clackamas returns six swimmers that competed in district finals, highlighted by Talia Caldwell a two-event freestyle champ, along with Emma Gould who won the butterfly and backstroke. The boys team is a similar story with seven returning district finalists. The Cavs appear strongest in the 200-meter individual medley where they return three of the league's top four finishers. 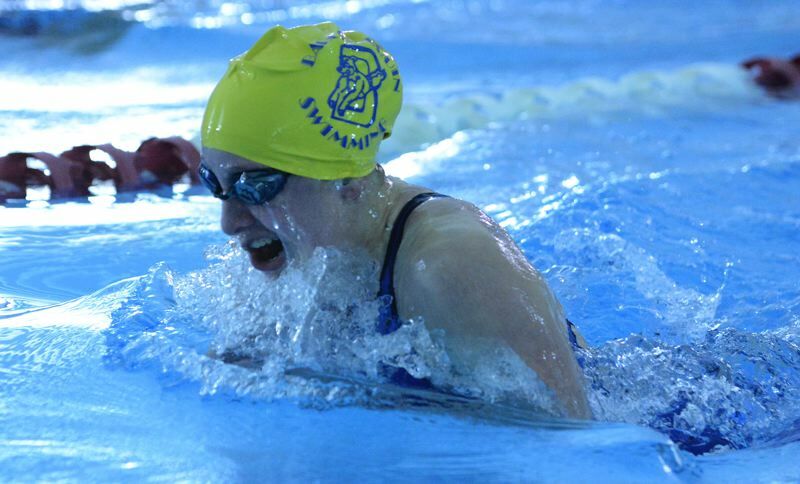 • The Barlow girls are led by senior Katie Simon, who was the district runner-up in the breaststroke and took third in the 200 medley last year. "She is going to score points no matter where she is at — there are no limitations with her," Barlow coach Angie Miller said. The Bruins' strongest race is likely the 500 freestyle where they return three of four finalists from last year. Leading that charge is sophomore Kenna Quirke, along with senior Lexi Gover and sophomore Grace Doyle. "We have so many clubs in the area, it helps when it comes to some of those more difficult events," Miller said. "We have a lot of good distance racers out of our area." Doyle is also a threat in the butterfly, along with junior Kaselyn Markell, who played a key role on the Bruins run to the state water polo title in the fall. On the boys side, Barlow leans on sophomore Justin Logue, who took third in the 500 free and backstroke in his first district meet. "He has a lot of endurance and he trains really yard — he puts in a lot of yardage," Miller said. Junior Josiah Hoccom is a scoring threat in the freestyle sprints, while water polo standout C.J. Brushwood is a factor in the endurance races. "Most water polo kids settle into the sprint races, but C.J. holds his own at the longer distances," Miller said. "Those kids who are in the water in some shape of form all year long it helps out a lot." • On the girls side, David Douglas is led by 500 free champ Hannah Walker, who also took third in the 200 free, while rookie Julia Schwan is also expected to make an immediate impact. "We took them to a couple club meets in California and they don't get intimidated," Scots' coach Jim Bowe said. "They are models of consistency, and they have a lot of confidence in the work they have put in." Another top scoring threat is junior Wendy Rios, who anchored the team's long relay and was a district finalist in the 200 medley last year. "She has a lot of experience in the water and is proficient at all the strokes," Bowe said. The David Douglas boys are young with sophomores Dawson Bermats and Kenny Nguyen leading the way in the freestyle events, while junior Brayden Franzke won the backstroke consolation race last year. "Brayden is a tall kid with smooth strokes. He's been a part of all our aquatics programs since his freshman year and he's become a real consistent swimmer," Bowe said. "We're still young on the learning curve, but we have lots of kids which will make us tough in dual meets." • The Gresham boys are led by senior Ryan Burch, who was second in the 200 free and third in the 100 free at district last year. He beat his fastest time in the 100 free during a time trial in the opening week of the season. "He has excellent form and works hard all the time," Gophers' coach Sean Taylor said. Also a scoring threat is junior Nathaniel Wilson, whose versatility helped him reach the district finals in the 200 medley. "We have a lot of freshmen and sophomores with some good ability," Taylor said. "I'm hopeful that we'll have a dozen different scorers when it comes to district." On the girls side, sophomore Maria Fesik leads the charge after coming up 0.03 hundredths away from a spot on the second tier of the awards podium in the district breaststroke. 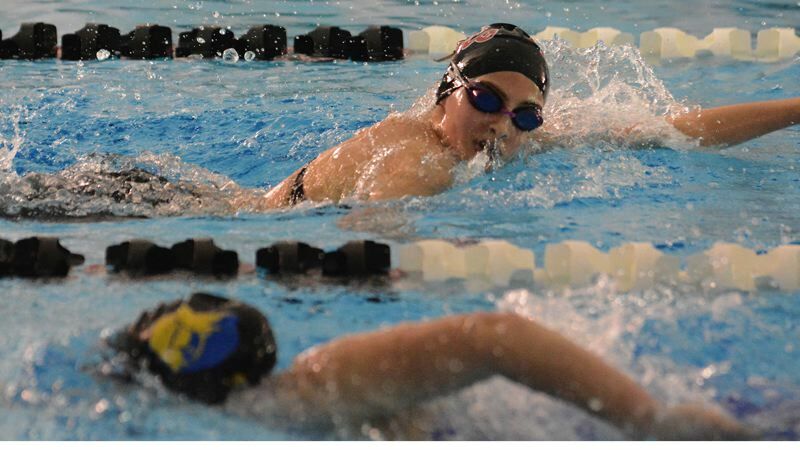 • The Eagles are paced on the girls side by senior Amy Hua, who was a district finalist in the 500 free last year, while also anchoring the team's freestyle short relay. "She's become a leader, and is doing a nice job helping out our young swimmers," Centennial coach Rod Lundgren said. It's a youth movement on the boys side as well, with rookie Paz Larson expected to be among the team's top scorers in the freestyle and breaststroke, while juniors James Lee and Matthew Kao are factors in the middle-distance freestyle events. "James is a lot bigger and stronger this year, and he's getting pretty serious about swimming," Lundgren said. "We just aren't super deep when it comes to year-around swimmers." • The Raiders welcome new coach Jamie Baxter into the program, which saw its boys team finish in the top half of the league last season. Based on last year's district results, the Raiders are set to return seniors Ikenna Egbo and Max Osborn, who were main cogs on the Raiders' league-champion water polo team. Also back is senior Zach Radke, who was a district finalist in the butterfly and the consolation winner in the breaststroke. On the girls side, sophomore Jayla Dieter is the team's top returner in the freestyle sprints. This season preview appears in our Friday, Nov. 30, print edition.